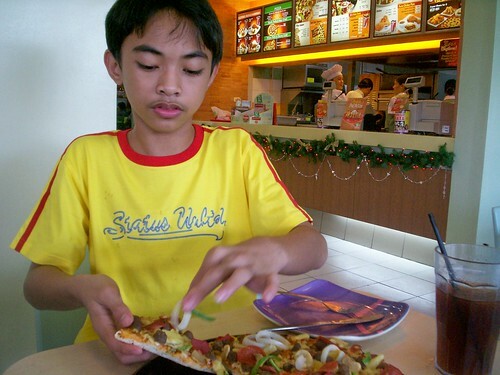 This pictures taken last November 3, 2007 at Jollibee and Greenwich pizza in our place. 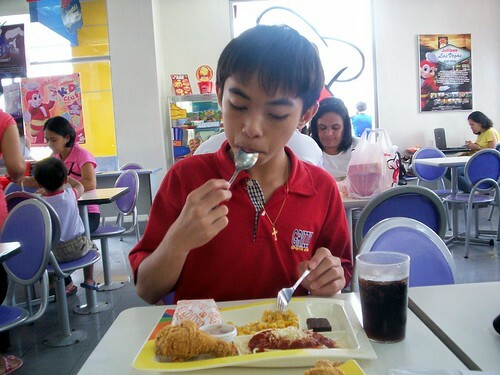 His very best foods are chicken joy, spaghetti, pizza, ice cream, hotdog, cake, bread, fruits with softdrinks. I want all mommies to share their kid’s favorite snacks.When you are done with the tag link me up here so I can add your blog(s) to the master list.